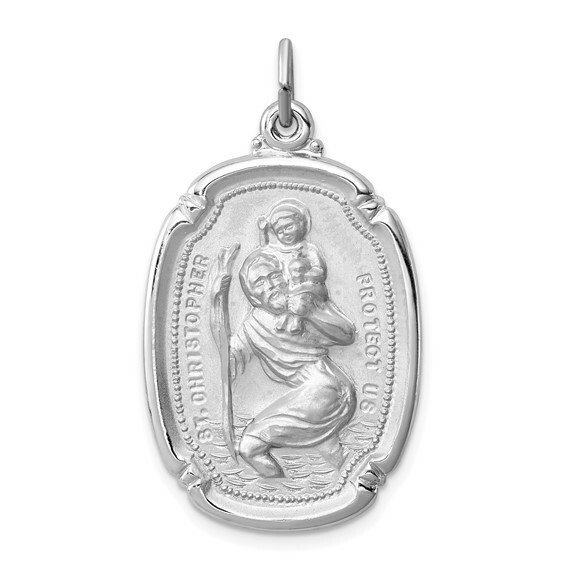 Sterling silver St. Christopher medal has a beaded border and distinctive oblong frame. High polish and satin finish. Dimensions: 1in x 3/4 in. This item is the size of a quarter. Weight: 6.55 grams. Made in USA.